Luc Seraphin is President & Chief Executive Officer. With over 20 years of experience managing global businesses, Luc brings the overall vision and leadership necessary to drive future growth for the company. Prior to this role, Luc was the senior vice president and general manager of the Memory and Interface Division, leading the development of the company’s innovative memory architectures and high-speed serial link solutions. 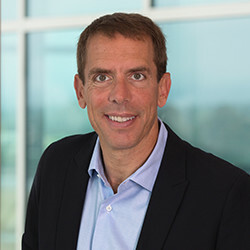 Luc also served as the senior vice president of Worldwide Sales and Operations where he oversaw sales, business development, customer support and operations across the various business units within Rambus. Luc started his career as a field application engineer at NEC and later joined AT&T Bell Labs, which became Lucent Technologies and Agere Systems (now Avago Technologies). During his 18 years at Avago, Luc held several senior positions in sales, marketing and general management, culminating in his last position as executive vice president and general manager of the Wireless Business Unit. Following this, Luc held the position of general manager of a GPS startup company in Switzerland and was vice president of Worldwide Sales and Support at Sequans Communications. During his career, Luc has advised and supported companies in both the product and IP markets. 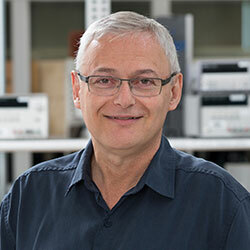 Luc holds a bachelor’s degree in Mathematics and Physics and a master’s degree in Electrical Engineering from Ecole Superieure de Chimie, Physique, Electronique, based in Lyon, France where he majored in Computer Architecture. Luc also holds an MBA from the University of Hartford and has completed the senior executive program of Columbia University. Gary Bronner is the senior vice president of Rambus Labs and deputy chief technology officer. He joined Rambus in 2007 and is responsible for the company’s long-term research in memory devices and systems, as well as the development of technology innovations for memory architecture. Prior to joining Rambus, he worked at IBM where he was responsible for the development of several generations of DRAM and logic technology. Gary has been an active participant in IEEE technical societies and is an IEEE Fellow. He has also authored or co-authored more than 80 issued U.S. Patents, along with numerous journal and conference publications. Gary has a bachelor’s degree in engineering from Brown University and a master’s and Ph.D. from Stanford University. Craig Hampel is Chief Scientist, focusing on memory and system architectures for Rambus. 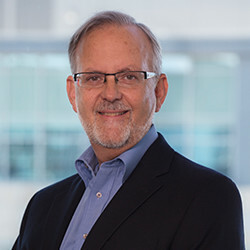 Craig has extensive experience in the memory industry, having led engineering efforts for Rambus’ interface designs that have enabled highly successful products across computing, communications and consumer electronics. 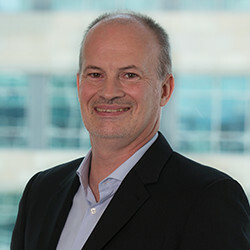 Craig’s development of memory solutions at Rambus spans more than 20 years and he is an inventor on nearly 200 patents in the area of high-speed memory and interface technology, with such inventions playing fundamental role in advancements in 3D realism across a number of gaming platforms. 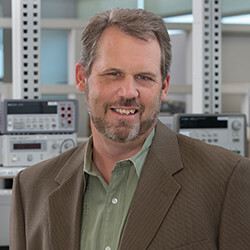 In 2009, Craig was named Inventor of the Year by the Silicon Valley Intellectual Property Law Association for Memory Advancements in Gaming and Computing. Craig holds a Bachelor of Science degree from the University of Illinois. 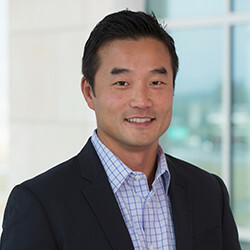 Jae Kim is Rambus’ senior vice president and general counsel. Jae joined Rambus in July 2010, and assumed the role of general counsel in 2013. Jae also assumed executive responsibility for Rambus’ global corporate real estate and facilities in 2016. Before he came to Rambus, Jae was a senior legal counsel at both private and public companies, where he was responsible for compliance, intellectual property, commercial transactions, and litigation. Jae also has experience in private practice with the law firm of Wilson Sonsini Goodrich & Rosati, advising high tech and emerging growth companies on mergers and acquisitions, private financings, public offerings, securities compliance, public company reporting and corporate governance. Jae began his legal career as an attorney with the US Securities and Exchange Commission, Division of Corporation Finance, in Washington, DC. Jae is a member of both the California State Bar and the New York State Bar. Jae received a Juris Doctor from the American University, Washington College of Law, and his bachelor’s degree in Economics from Boston University. Rahul Mathur is responsible for the overall financial direction of the company. 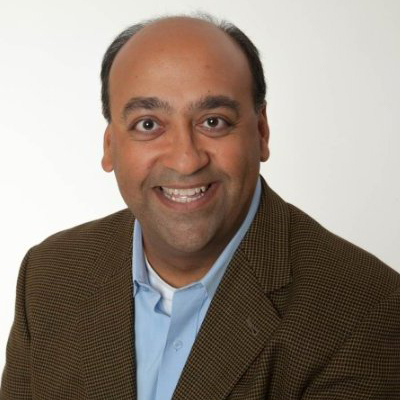 Prior to joining Rambus, Mr. Mathur served as senior vice president of finance at Cypress Semiconductor where he was responsible for financial planning and investor relations for the $2.1B provider of embedded memory, microcontroller, and analog semiconductor system solutions. Prior to that, Rahul served as vice president of finance at Spansion (later acquired by Cypress). Rahul has previously worked at numerous technology companies such as NetSuite and KLA-Tencor, and started his career as a consultant with Arthur Andersen. Mr. Mathur holds a Bachelor of Arts in applied mathematics from Dartmouth College and an MBA from the Wharton School of Business at the University of Pennsylvania. K. Krishna Moorthy is the corporate vice president and managing director of the Rambus India Design Center. Krishna joined Rambus in 2011 and is responsible for the strategic operations of the company’s design center. 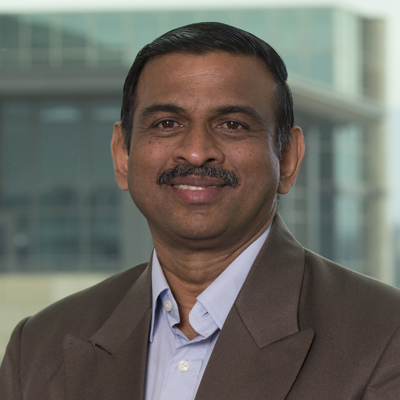 Prior to Rambus, Krishna served as director of engineering, and subsequently, the managing director of the National Semiconductor India design center. Prior to that, he was the general manager of the R&D operations of the Defense Communications business at Bharat Electronics. Krishna worked to design the first ASIC in India that went into volume production and is used for many secure defense communication systems today. Krishna has bachelor’s degrees in Engineering, Communications and Electronics from the College of Engineering, Trivandrum and Kerala University. Jerome Nadel is the senior vice president, general manager of payments and ticketing, and chief marketing officer for Rambus. Jerome joined the company in 2012 and is responsible for helping implement Rambus’ open and collaborative culture, both internally and externally. Jerome has expertise in strategic usability and user experience and he has extensive international business strategy and marketing. Before coming to Rambus, Jerome was at Option NV, where he was the chief experience officer leading the user experience process from research and innovation to implementation, marketing, and sales. Prior to Option NV, Jerome was executive vice president of user experience and marketing at MobiWire, chief experience officer at Human Factors International, marketing VP at Gemplus and CMO at SLP InfoWare. Jerome has a bachelor’s degree in Psychology from the University of South Florida and a master’s degree in Industrial/Organizational and Human Factors Psychology from Kansas State University. Mike Noonen is the senior vice president of global marketing, sales and support at Rambus. He joined Rambus in May 2018 and is responsible for the expansion of the company’s semiconductor and memory ecosystem. Before coming to Rambus, Mike has held executive positions at several semiconductor and IoT companies, and in 2013 he was elected to the board of the Global Semiconductor Alliance (GSA). He has held various leadership roles at Silego Technology, Ambiq Micro, Silicon Catalyst, GLOBALFOUNDRIES, NXP, National Semiconductor and Cisco Systems. Mike has a bachelor’s degree in electrical engineering from Colorado State University and a Director’s Consortium Certificate from Dartmouth College. 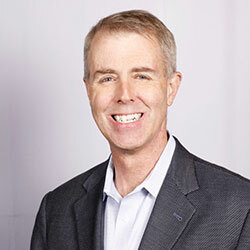 Kit Rodgers is the senior vice president of Technology Partnerships and Corporate Development for Rambus, where he is responsible for building and growing the business across the various focus areas. Prior to this role, Kit was the senior vice president of Licensing and Technology Partnerships, building and growing Rambus’ technology licensing business and customer-focused IP strategies. Before joining Rambus, Kit was vice president of Business Development and Licensing for Cryptography Research, Inc., which was acquired by Rambus in in 2011. Kit joined Cryptography Research in 2003 and has extensive experience in building teams and businesses, including business development, technology licensing, operations, finance and corporate strategy. Before joining Cryptography Research, Kit held positions at Acumen Sciences, 12 Entrepreneuring, Scient, and Stanford University. Kit holds a bachelor’s degree and a master’s in engineering from Stanford University, where he was a Mayfield Entrepreneurship Fellow. Orna Sarfaty is the senior vice president of people and culture at Rambus, where she is responsible for innovating and aligning human resources (HR), with the achievement of overall business objectives. Prior to joining Rambus, Orna served as the Vice President Global HR Business Partner for the Design Engineering & Innovation division at Flex, where she worked to shift mindsets and HR practices towards strengthening the “sketch to scale” strategy. Before that, she held various HR management roles at SanDisk, most recently as the VP of HR, where she led the HR teams in India, EMEA, Israel and domestic US sites. In parallel, she supported the entire R&D and product development organizations and the strategic, growth-oriented, business units, while scaling-up the organizations through organic growth and M&A integration. Previously, Orna held a range of international human resources management roles at Applied Materials. 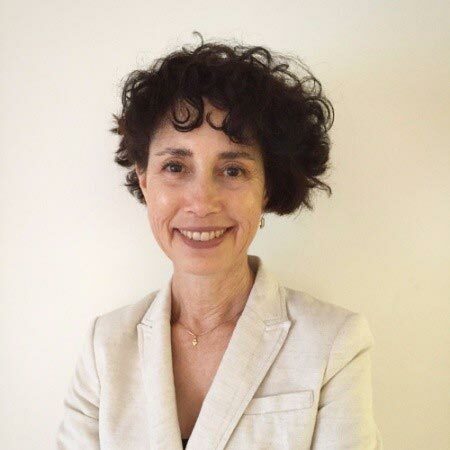 Orna received a bachelor’s degree in Psychology from Bar-Ilan University, a master’s degree in counseling and vocational psychology from Tel Aviv University and a Ph.D. in psychology from Bar-Ilan University. Martin Scott is the senior vice president and general manager of cryptography for Rambus. 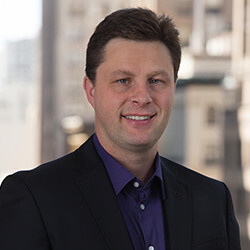 Martin joined Rambus in 2007 leading the new business efforts and now leads the company’s platform development efforts. He is responsible for Rambus’ long-range research and development. Martin joined Rambus from PMC-Sierra where he was most recently vice president and general manager of their Microprocessor Division. Before PMC, Martin was vice president and general manager for I/O Solutions at Agilent Technologies. He started his professional career at HP Labs, holding a variety of management positions at HP including ASIC Business Unit manager. Martin earned his bachelor’s degree at Rice University and has both a master’s degree and Ph.D. from Stanford University.